Last year as a part of our homeschooling, we used the Classical Conversations curriculum and attended a weekly community, where I also tutored. This curriculum has taken off, and it seems as if everyone in homeschooling circles is talking about it. We have chosen not to attend the community next year, so people want to know if I didn’t like it and whether I would recommend it. We really loved the curriculum. My kids learned so much. Even though we will not be involved in a community next year, we will still be using it at home. I tutored (taught a class) this last year. I absolutely loved being in the classroom again. I taught high school Spanish before we had children and have always missed classroom teaching. I adored my students and honestly think I had more fun than they did. That said, the position was very stressful for me. I expected it to be very stressful at first, but quite frankly, I woke up with an upset stomach and took many trips to the bathroom each morning before my weekly class, down to the very last day of the year. Why was it so stressful? For one thing, I think being a classroom teacher worked against me here. The communities are set up so that parents are sitting in each class, so there is always a parent observing. I don’t remember any parent being unkind, yet for me it was always stressful knowing someone would be observing, but never knowing exactly who. It just made me very nervous. Time was another factor. Though I loved the community benefits for my children, I had been used to having complete freedom with my time as a home schooling mom. For example, if we had company staying with us, I could always take a holiday, or if the kids were sick, we would just take a sick day. Also, we enjoyed taking our vacations while other children were in school such as a week over Labor Day. I missed not having that flexibility. When it came to preparation, time was also a factor. I spent over two hours each week preparing for two-and -a-half hours of instruction. This was so much more than I spent preparing to teach my own children that at times I felt guilty. Now, having said all this, I still think Classical Conversations is a wonderful program and well worth the stress and time constraints. However, we are expecting another child in December, and after experiencing a miscarriage last November, we thought it best for our family to keep stress to a minimum where possible this year. I am going to continue tutoring my kids at home. My plan is to have a little class once a week. We may love it and continue doing this, or we may decide after this next year to get back into a community. The jury is still out! Update: Classical Conversations at home. Back in a Community for our fourth year of CC. You’ve been through a lot. I don’t blame you for not participating. Don’t add the stress if you don’t have to… life has enough of that already. Sorry it was so stressful. Sounds like a year off is just what you need! I think with the pregnancy and the new baby doing your own thing will probably be the least stressful thing for you guys! I wish you all the best with the everything this year! 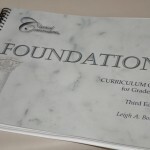 I dabbled in this curriculum, and found some of it fun and beneficial. There wasn’t a community formed around us when I was using it, but I found it hard to balance commitments outside of our home when homeschooling altogether, and like you, enjoyed our own schedule. The negative that I would point out about CC is that it is attached to a group within the homeschool community that is very passionate about the methodology…which can be a good thing if you are skilled in academics and find that is best for you and your child and are thankful for it…but, I’ve also heard it said within those same circles that this methodology is “Biblical” and label it as “Christian”…and that is false and can add alot of pressure and expectations where God absolutely doesn’t require or expect any such thing. Question, do you have to buy special books to participate? I already own my curriculum (well trained mind-saxon, abeka, bfsu) for next year but there is a group starting up nearby. I am so glad to hear that I am not the only one who has knots in her stomach every week! I tutor both the Foundations and Essentials and it has been beyond stressful. My own daughter has been neglected and I have realized that this is just not for us. We do much better with a relaxed approach, which is NOT what CC is. I am grateful for it, though, and have learned much in the past two years. We will not, however, be returning, and I honestly am fighting working through these last six weeks. My heart is just not in it. Thank you for this post. There is a thriving, growing CC in my area, and I have been pressured by many friends to join in. I almost feel like an outsider because I am not doing the “IN THING”. It’s actually been very saddening, witnessing many who are believers in Jesus Christ behaving with an air of superiority about educating their kids. I visited a couple of times, and my financial circumstances are such that I would have to tutor to be able to afford CC for 3 kids. 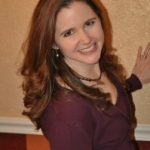 I have a PhD and taught on the college level, so I am not afraid of tutoring, but I have been a stay-at-home homeschooling mom now for a while, and my biggest concern was the one you mentioned of losing “complete freedom of my time” and spending hours preparing to teach other people’s children when I actually have to spend very little time preparing to teach my own children! Your blog post confirmed what I suspected I would experience, so thank you for your honesty. BTW… these concerns were not my only ones with the program. I read Leigh Bortins’ book, The Core, and found that I just had some fundamental disagreements with her. She is the author of the curriculum, so it is worth reading this book before you join. You will be buying her worldview and feeding it to your kids, so you need to make sure you agree with it first. This goes for ANY curriculum we buy as homeschooling parents! Yes! We are beginning our second year of CC (my daughter is 5), and we love the folks in our community. However, I had a horrible experience at training (I had to train because I said I’d sub this year) where a bunch of ladies jumped on a poor woman for saying her husband might have her oldest son attend traditional school. Another lady started crying because her husband isn’t completely on board. I was a wuss and I didn’t say anything, but I was so upset by the way these women were treating their sisters in Christ (especially the teacher of the class, who basically said you were sinning and being unfaithful if you don’t home school). I don’t have a problem with them advertising the superiority of the classical method; I have a problem with them making a New Law. I taught Challenge A for a year, Challenge I Latin for a year, and Foundations for a year, and I love my community. But–speaking as someone who was home schooled through high school and volunteered/interned for 6-7 years at a think tank that heavily promoted classical education–Classical Conversations is not the be-all end-all. On their website they say “Our purpose is to lead the home-centered education movement,” and it seems they really are trying to create a monopoly. Anyway, I hope this is not too negative. It is a good service for families who can afford to use it, and the quality of their products is slowly matching the price(when I started in 2009 the errors and dependence on tutors to notice inconsistencies was embarrassing. A fellow tutor found outright plagiarism). I believe the company hired a marketing agency which gave them some unfortunate advice for how to make their company grow fast (too fast), and they depend on “soft multi-level marketing” to grow (moms and tutors putting in the grunt work to create new communities and spread the word for barely any money, at their families’ expense). Awesome review. As a first-year tutor, second year at CC, I have spent no less than 4 and up to 8 hours each week preparing for CC. It’s been horrible (as a tutor). Our director is very laid-back and doesn’t provide necessities I feel that are needed, though we are given enough to “get by.” It seems like a very expensive program for parents when the tutors are just squeaking by with science and art supplies! I agree, probably having been a teacher before makes this worse for me. Good job on recognizing your own limitations. Sometimes I feel like I am the ONLY one who is having trouble with this, and I need to put on my big girl pants and just get through it! My children love CC and do very well with the information. The pay for tutors to me is “hazard pay.” I can sub one day in our local public school (no prep needed!) and make what I make in 6 weeks at CC. Thanks so much for your insight. We just started my four-yr-old in Classical and now I regret it after the first class. Stupid me didn’t observe any classes last year before deciding to join this ridiculous program. It is just so hard as a homeschool to find quality socialization for children… I was hoping this would give our daughter a chance to learn with, laugh with, and grow with peers. After the first class I was horrified upon hearing the “lists” of unrelated facts that she is expected to memorize. THere was no socialization, only memorization. While I see nothing wrong with teaching my child to memorize information, the implication is that at her age she is not able to comprehend anything at a deeper level so she ought to be quiet and submit to “drill, drill, drill” of boring, irrelevant fact lists. It is evident that the creator of this curriculum knows nothing about how knowledge is best retained – by connecting new knowledge to previously learned knowledge. Classical would be greatly improved if it cut the memorization down by half each week (and eliminated the useless Latin) and instead added real life connections that would make the information palpable and comprehendable to even little children. For instance, we memorized the beginning of the time line: “Creation and the fall of man” followed by “The flood and the Tower of Babel.” Why not stop there and read a picture book (or the Bible) and explain these events to children? 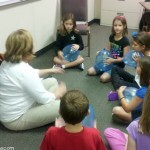 The children will quickly be able to make a connection to the information being memorized. I definitely agree with Katy that there is a strange “religious pride” in the writings of Leigh Borton on the website – as if Classical is the best and only godly way to educate a child. There is a strange sense of pressure and stress on the teachers, the parents, and the children to “learn more, learn more, learn more.” Quantity is not the same as quality. Our children can memorize complex information but if they fail to learn how to connect with God and with others in meaningful relationships, it will all be for naught! CC has the kids memorize facts. It is the PARENTS job to suppliment this info at home. The tutors have 3o minutes to get the info into the kids heads. You as the parent actually have the job to tell them about those facts. All the historical info is given to you on the timeline cards. Gee, you actually have to read those to your kids or have them read them to you. Not so tough. I am a mother of 3 and a tutor for CC. VERY DOABLE. The best thing for our family ever! Accountability is a blessing. We still take vacations when we want. Give me a break. Thank you very much for writing this post! We are scheduled to attend a CC Open House in the next few weeks but I’ve been 50/50 about the curriculum/schedule, etc. for my children. This honest review and the comments have really been helpful as we make our decision, thank you! God Bless you moms who want to give their children a great at home education! Im proud of all of you!! Keep your chin up and pray! We did CC this year and at first I thought it was great but have decided not to go back next year for some of the same reasons others have mentioned. It boils down to rote memorization, which imo is not the most effective way for children to learn. I think if a parent is looking for something similar to a public school curriculum, CC is very comprehensive as a guide you could use to supplement in a way that works best for your family. Our community had to do weekly family presentations in front of the whole group as well as the children doing them in class. If I had known that was expected ahead of time I would not have signed up. Our community leader also encouraged the kids to memorize Bible versus with a system of rewards, which made me uncomfortable. If a child/family is interested in reading the Bible, that’s great, but this felt to me like bribery. I know the leader was doing what she felt was right and I do respect her, it just wasn’t personally my cup of tea. This was our first year at CC and we love the community aspect of it and are doing it next year for that and to try a year of Challenge. That said, it is not a perfect program. We take Foundations as just memory work and it is completely outside of our regular curriculum as I feel it rushes kids through some subjects ideas. I am enjoying how much the kids are learning and it is also rewarding to see them make connections when the memory work comes up in our regular curriculums. I believe in the memorization in the elementary level now when I did not at first simply because I have seen it play out in my own kids. They now pay closer attention to shows and other things because they have heard the terms before. When an area comes up on the news many times now they have heard the term so they focus in more. Same with the names they learn through the history sentences and other memorization. That said, I do agree that it is not for everyone. I don’t know that we will do it all the way through and I don’t believe I will ever serve as a tutor but for now it is working. Makes perfect sense to me! I also love the freedom of scheduling that homeschooling allows. Having parents observe would make me nervous, too. Great review. I have been a tutor for three years and have thoroughly enjoyed CC. There is truth in what Katy shared. If you are not familiar with the classical method of learning, CC might seems like a useless method of rote memorization and useless Latin. If a person is really interested in getting involved iN CC for socialization I suggest you read The Well Trained Mind to make the most of your money and not pay the cost of a classical supplement just to socialize. As a tutor, I have seen way too many families get in and stay involved for social reasons. I would not suggest that. The Classical method is wonderful and will help prepare your children for a very rigorous high school career. Don’t be too near sighted when joining this program….look long-range because everything they learn thru memorization at a young age will be used later, ie Latin. Now, my own personal opinion is that the corporation of CC is just that, a corporation, a business. It is a supplemental program NOT a school system. There is an overall feel of top-down management and corporate rhetoric that takes place amongst those in positions of management. It is my experience that the business end of this wonderful program needs to get a grasp on the fact that if people were not purchasing their product there would be no program. And that the mney people are paying is what makes them a paycheck. Unfortunately because of this mentality I will not be returning to tutor or to send my children in the coming year. I am not spending valuable money and time to be part of a school system. I already pay taxes to a system where my voice does not count. This was our family’s first year with CC and I am undecided about returning. I had children in Foundations and the Challenge program and can see the long term benefits of the memorization for the Challenge children. However, as some reviews state the tutors make all the difference. Unfortunately, all fees are paid prior to knowing who your director will place your child with. It does fall on the parents to expound/review the information if they so choose because it is not revisited again that entire year. For our family the community came in during lunch because time was used during class. My community had strong leaders and parents, but I think children in 3rd-6th would benefit most and could utilize the Essentials program. At 4-5 years a parent can better use their time onthe fundamentals and save the money and time commitment. Challenge A we loved because of the accountabilty and the gradual transition from what would have been Foundations. Challenge I was good, but could improve their weekly expectations for debate and the tutor could provide models for writing assignments. Challenge IS expensive (think $1500(reg. lab, supply, tuition, facility) and then the cost of books. Unfortunately, as a Challenge tutot they are not required to give parents feedback, so you really have no idea how your student is faring in a group setting(especially if you have to be in class with a child in Foundations/Essentials). I know as a parent I have to inspect, but if I am teaching and grading at home $1500 is alot for a syllabus and group discussion. If you are interested in a Challenge program make sure to visit the tutor who will be teaching your child because like in school there are good and bad teachers and most mony paid is non-refundable. I was wondering about CC. I bought a used copy (ed 3)on Ebay to see it. Do you uses this in addition to a program you are already using? We would not be attending the classes. Also I saw timeline card from V. Press and timeline cards from CC. Does it make a difference which ones you use? Do you need to buy all of them at once because you are learning the timeline song? @Steph, Yes, I use CC in addition to a good language and math program in Foundations. The CC Timeline cards were new last year and if you will be learning the new CC Timeline song I would go with the CC cards, but you can just as well teach the Veritas Timeline. It’s just what you prefer. You could also just teach them the Timeline song without cards. You just wouldn’t have the visual. But, yes, if you want the cards to go along with the song then you would need all of them. Hope this helps! Been in CC Foundations 2 years, kids wants to do a 3rd year because their friends are in it, but be warned, CC is like marine bootcamp – very fast paced and leaves the slow learners behind if they can’t memorize the work each week. I am glad to read through some of this. We’ve been a part of CC for 5 yrs, heading in to our 6th. I’ve tutored and subbed, and have had years where I just subbed minimally. We began CC planning to do Challenge, but for various reasons, decided it wasn’t for us at this time. I’ve not wanted to participate in CC this year and it is really paining me that it’s nearly time to start. I keep hoping the Lord will show me why we’re doing it again or that He’ll pull the plug. The thing is, I could have put my foot down and said we aren’t doing it, but the kids really want to and we’re in a position of not having much interaction with other children right now, so it would be tough on them if we didn’t go. My husband was great, he agreed that we don’t have to review during the week or even go every week, but something is better than nothing. The truth is, I’ve been amazed by how much my children have learned because of CC. When I want to stop, the Lord just starts revealing all these things from geographical details to historical information that my children would definitely not know were it not for CC. The classical model was confusing and quite unappealing to me for years, but when the time was right and I saw how CC works and had kids demonstrate their memory work, it blew me away. I’m so thankful for people with a vision of what my children could do, which I had no clue about. We’ve used Thy Word Creations for long scripture memory and I give a lot of credit to CC’s training of how to memorize to those materials, which of course matter more than any facts. We are about to start our 2nd year in a CC community, and although I realize every community is different, I think there may be some general misunderstandings about what CC is all about. If your primary purpose in joining CC is for social interaction, or for someone to teach a subject you prefer not to teach yourself, you’re better off joining a co-op or other homeschool group. CC does not claim to be a school, and the tutor’s primary purpose is to model for the parents different ways to work with each week’s memory work. What we as parents do with it at home is up to us. In my opinion, CC is best used as a “spine” where you add complementary activities at home based on the weekly topics (a science project, books about Ancient Egypt or whatever time period in history, etc.) rather than to tack it on to whatever other things you’re already doing. Of course a 6-year-old is not going to fully comprehend The Fall of Rome, prepositions, math equations or Latin declensions. The goal of the Foundations level is to prepare kids for high school level Latin, Algebra, writing and debate. My 5-year-old knows more geographic locations than I ever learned in 12 years of traditional school. At the doctor’s office, he pointed at a Time magazine cover with Genghis Khan on it, and said “that’s in our timeline song!” While these things are not “useful” for a 5-year-old, they will be when he gets to the Challenge level. Another thing to be aware of is that CC is not the only thing you need to do as a homeschooler. You still need to add a Math curriculum as well as Language Arts – reading, writing, spelling, etc. Someone mentioned that they hated the family presentations – I’m guessing most moms would happily forgo this activity. But keep in mind, we are teaching our kids to stand up in front of a group, and modeling how to put together a presentation. These skills are nearly impossible to teach at home! There are, of course, other ways to homeschool with the Classical methodology – CC is not the ONLY way. You should always visit a community before joining, and learn what to expect and what not to expect from the program. As a third year CC family, I appreciate your accurate assessment of CC, Christine. Besides visiting a campus, I would recommend parents attend a CC Practicum before joining a community. At Practicum this year, the speaker said CC is not perfect–no curriculum is perfect. As parents, we use CC as a tool. Tutors are not there to teach your children. Tutors are there to model for the parents how to teach memory work to your young children at home. It is during the younger years that children have an enormous capacity for memorization. The idea is to have children memorize as many relevant facts and terms as possible while memorization comes easily. Later on, children will learn to understand the importance of those facts. CC is definitely not for everyone, but it is what you make of it, and a lot of it has to do with understanding the classical model and one’s heart attitude. We have been homeschooling for 10 years. We have done Abeka for the most of our years, some MUS and Saxxon for math. This year I decided to try something “different” CC! I am do not like it. So I said it!!! I feel like I need to go home and school my kid. I honestly feel it is a lost day of school. Anyway, this is not for us. I will finish out the year ( hopefully) and be grateful that we are able to homeschool our kids in a world that is so disconnected from God. God is our main focus as homeschoolers and am very grateful that we have that freedom. We need to be reminded that as homeschoolers there is no ideal! What works for my family may not work for yours and with that said, we can NOT claim that my way is better than yours, rather homeschooling is better than public school. Abeka has worked great for my boys. My 20 year old son is a sophmore in college with a 4.0 gpa and a full scholarship. He did Abeka from 6-12 grade. His major is Chemestry. My 14 year old is doing well with Abeka as well. Now my 8 year old daughter is very timid and that is why I opted for CC. She loves being around the kids and for the most part enjoys foundations. We are not doing Essentials. It really bothers me when the CC moms say this is the best way to teach your children. I find most of these moms are young moms who started off with CC and do not really have anything else to compare it to. I also find they are a bit boastful. They are so caught up on, ” my kid can recite history facts and recognize who mona lisa is!” OK!!! and….??? Anyway, I guess that is my biggest turn off, boastful moms! My advice to homeschool parents is, whatever carriculum you choose, give it your all and remember that homeschooling is a FULL time job. You will always question yourselve, but remember that it’s better than questioning what your kid might be learning in public school. And last but not least, there is NO IDEAL! whatever works for your family is what is best. I agree with the last post…you need to know what your getting into before signing up. I’m a director as well as a tutor of a small community. Just in 2 years I’ve seen many families leave the program because they were there for socialization. I believe anything you join you need to decide what you want to get out of it. At times the time constraint bothers me but I have to remember our goals. I think if we didn’t have the community support we would never get anything done! I need the accountability! The tutors that burn out are usually the ones that overplan. We aren’t the teachers; the parents are! I too had a bad experience in training my first year but felt God pulling me to tutor. I’m really looking forward to the challenge programs as they finally show why we’ve been we working so hard in foundations and essestials. I am a widower with a 4 and 10 year old. My stepsister, who is a CC director in the Tulsa, OK area, offered to homeschool my kids in Classical Conversations this year. I paid over $1,300 in tuition and fees, however, 2 weeks before class started, my stepsister changed her mind and sent the kids home. The tuition and fees for this program are pretty steep and when one realizes that there are no refunds in whole or part, even if the children are declined to attend, it’s difficult to remain positive about the program. 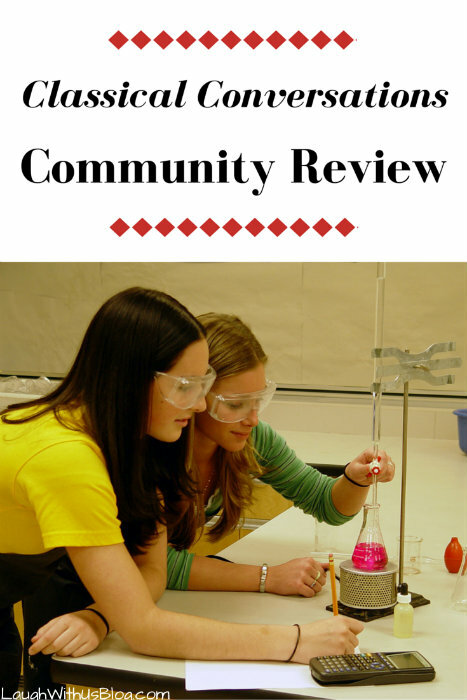 My review of our year with CC: http://oneduffy.blogspot.com/2011/03/to-cc-or-not-to-cc.html It is important to find out lots about your local group before you start and to not trust the corporate CC line that all tutors are trained. All I can say is buyer beware. Classical education has never appealed to me. I have always enjoyed eclectic, hands on, interest led learning. That said, both my kids are enrolled in CC this yearfor the first time. My 12 yr old was looking to spread her wings and needed something different than what we had always done at home with some outside accountability. Challenge A has given her enormous confidence as a student and a chance to show her independence and learn personal accountability. I have been astounded at what she has been able to learn. My 4th grade son I enrolled in Foundations and Essentials mostly for the socialization. He is in an all boy class and has really bonded with the other kids. He really likes it. I have been amazed at how effective the memorization is, and we only play the CDs in the car occasionally, but he soaks it up and has made connections with the memory work to things we have learned at home in past years. The writing in Essentials has been invaluable. It gives me accountability to make sure his papers are turned in on time and our tutor allows us to modify the topics to what we are learning at home, rather than the assigned topics. 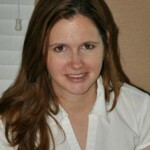 I enjoy the community of other moms and it has been a very positive experience. However, it certainly isn’t the only way to homeschool. You do lose flexibility and I sometimes miss the rabbit trails my dd and I could go off on–there just isn’t time for that now–Challenge A is intense. It’s a trade off and each family has to decide for themselves if it is something that would work for them. I also am not sure I would consider it myself for a very young child–part of the reason the memory work has worked so well for my 10 yr old is that he has been exposed at one time or another to most of the info. before so has a peg to hang that info. I don’t know how it would be with a much younger child. Thanks for the insight. We have been doing CC for five years. I home schooled my older sons years ago and there was no CC. This program has a lot to offer and has benefits. We enjoy the community and have some great tutors and a wonderful director. My issues with CC is that it seems to have become the end all and be all of home schooling. We use CC as part of curriculum but I have noticed that when I say that, I get a look from some people – if we are not completely on board we are odd. I don’t get very excited when Leigh writes a new book or has some other thing going on. Leigh is just like the rest of us. She is great at some things and not so great another things. She has her faults as do the rest of us. I appreciate all she has done in putting this program together but some people think she is the goddess of home schooling. When I was at a practicum and she was on a video and I did not know who she was people looked at me like I head two heads. My issue as of late is that I am uncomfortable mentioning my contemplating Challenge which is out next step. 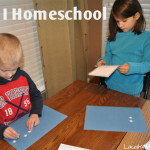 I really like the flexibility of home schooling in both the school day itself as well as the subject matter. The kids I see in Challenge do one day of school and four days of “homework” which is not what I have in mind for the next few years. For some CC has become school. I want my child to experience all kinds of learning and people. We want to flexibility to change things that might not be working for us. We fortunate to have quite a few people around us who can asset in many areas of interest. If we are busying doing CC homework we will miss out on some wonderful opportunities. We are also non trinitarian Christians and have had some concerns there, but that is a whole other story. One of my biggest problems lately at CC is the push for Memory Master. My daughter did MM at the age of 7 in her first year with the program. She was asked to do it again and again. She had no interest. However, I found myself asking and asking her. Then I realized I was getting caught up in the whole thing. I hear so many moms at CC saying all the negative stuff about school (which also gets old) and how they “teach to the test.” I felt like MM was doing the same thing. Boy, did I get some looks then! MM is a wonderful thing, don’t get me wrong. But my problem with it is that when I asked some MM kids two weeks after what something was no one could answer me. They said, “Oh we did MM already.” Teaching to the test? Sounds like it. Oops! Sorry for the typos. No glasses and too much coffee. Before judging the memorization aspect of the program–I would research the reason’s behind it. They are compelling. You were an A+ teacher! All I can say is thank you. You not only taught an awesome Spanish class, you went the extra mile as a teacher by being a lifelong friend. My daughter was bullied in a CC community by the director’s daughter. It was terrible. We left mid-year because the director blamed everything on everyone else when her child was said to have done something. The young lady would cheat during review games, not allow my daughter to see the math cards and then say my daughter did not want to play because she was not catching on. We were at a previous community and during Memory Master her daughter was caught cheating. She said she did not believe the then director and could not believe her child would do anything wrong. Also, during Memory Master testing, the moms were crying, upset,,,,etc. This was before the director proof. One lady, who is now a challenge director, yelled at my daughter who was playing with a bunch of other kids. My daughter made memory master and her son was struggling. Is this what we want for our kids!! I also had a tutor tell me that if I ordered Abeka teacher’s manuals, I should not be homeschooling !! I have seen backbiting and just unkind attitudes,,similar to the lady that commented on how the PARENTS need to follow up, in each community I have been to but it did not involve me until this previous year. My daughter was upset for months. Of course, no refund was offered. Yes, I know they do not need to. But if your daughter is bullying another child I think it should be done. Thank you. This has been our experience with CC. As for the material, I like some parts of it. I am so sorry for your trouble in CC. Unfortunately where there are people there are problems. Some leaders are definitely more godly that others. This can also be said of churches and church leaders. I too have felt those who look down their nose because I don’t do everything that is considered to some to be the best way. Sigh. People–we’ve got to live with them! 😉 A different community may be perfect for your family. I know that I really love the one I’m in now! We just finished our first year with Classical Conversations. I love the curriculum, and I love our community, I just wish it didn’t cost so much! However, we will keep at it, as it definitely was worth it for us. Thank you so much for this review. I will be directing the CC community I started in my town for the 3rd year. Reading experiences like yours (and others’ in the comments) helps me to lead my community better. I don’t ever want tutoring to be a high stress addition for a home schooling Mom. We have enough stress as it is! I want my tutors to feel very well supported and inspired; to the extent that their cup runs over and into the parents who attend community. Everyone is not cut out to be a tutor. Some are, but their confidence and skills need to be properly supported, appreciated, encouraged and cultivated. CC communities should be a place that is warm, welcoming, and a support for homeschooling families whether the Classical Model is all they are using, or CC is a part of their eclectic approach. No one method of education is right or good for everyone. This year, I’ve committed to cultivating a solid sense of that warmth and support for everyone. It also seems that many directors are not understanding and communicating that CC, as a curriculum, is to be implemented and used by the parent as primary teacher. As such, the parent is free to scale the materials to fit the student. No CC parent or student (Foundations, Essentials, or Challenge) should be so tied to the curriculum that it becomes a stumbling block for them. My oldest is not academically gifted, and we did a lot of scaling in Essentials; especially in the beginning. This year, she’ll be in Challenge A, and I know that we will be doing the same. I’m glad you decided to give CC another try and I hope you have an amazing home schooling year! Hi Rochelle! We are beginning our 9th year with Classical Conversations, and I have had many great experiences along the way. I’m excited for you in your directing journey. It’s clear you have a heart for people, and that will serve you well in this position. I’ve found that where there are people there are problems! lol We can’t seem to get away from them. So in a community it’s not surprising that issues arise. I’ve moved across the state and found a community that is absolutely great. I’m so thankful.